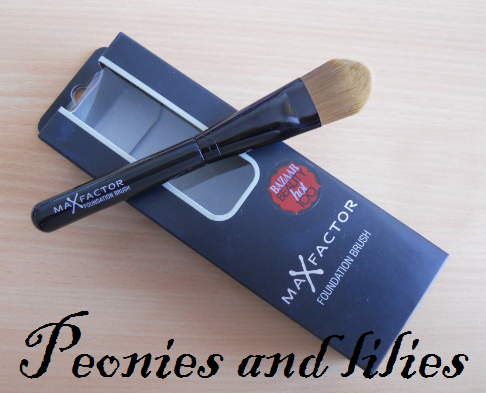 At a recent Maxfactor event, I was given this foundation brush to try out, and having used it for the last few weeks, I much prefer it to my fingers for foundation application. The brush feels soft and non-scratchy against my skin, but the bristles are firm enough to give me control over the application. I usually dab small amounts of foundation onto an area of my skin, then blend together using short strokes for a flawless finish. Compared to using my fingers, the brush is quicker, more hygenic and blends better, so I'm less likely to over apply and end up looking cakey. My only complaint is that the brush gets clogged up easily, so I need to wash it every 2-3 days, but the bristles are fast drying, and if I wash it in the evening, its ready to use again the next morning. Clogging aside, I really am impressed with this foundation brush, it gives an even finish, doesn't shed, is quick drying and keeps it's shape after washing- a great new addition to my make up routine. 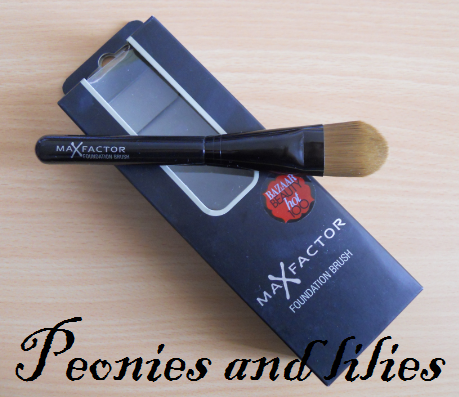 Have you tried any of the MAXfactor make up brushes? What do you use to apply foundation? Where can you buy the MaxFactor brushes? Seems like a good product and would be great to try out. This looks really nice. I recently bought a foundation brush from The Body Shop & I find it makes my application a lot better & gives me a way more flawless look - I can't believe I'd never used one before now! Ooh didn't know they did brushes but that looks really good.